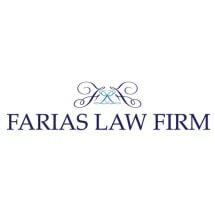 The Farias Law Firm in Houston, Texas, provides legal counsel to individuals, families and businesses in the Houston area. Our law firm focuses on family law, criminal law, personal injury, immigration law and business litigation and formation. We also provide mediation services. We communicate with clients in English or Spanish, and we do not rely on translators. In our family law practice, we focus on divorce, custody issues and modification and enforcement of divorce decrees. Family law situations can be very stressful, of course. We pride ourselves on the ability to listen carefully to the facts of your story, establish realistic expectations and then develop a sound strategy for your case. When we appear in family court, we present our arguments in a calm, clear, organized manner. Attorney Leonel “Leo” Farias II is a native Texan who was raised in Portland, Texas. He received his bachelor’s degree from Texas A&M University-Kingsville and his law degree from South Texas College of Law in Houston. He learned the value of hard work and education while working on his grandfather’s ranches in the Hebbronville, Texas, area. Attorney Karleana L. Farias is a native of Puerto Rico. She received her bachelor’s degree from American University in Washington, D.C., and her law degree from South Texas College of Law. Attorney David F. Ramirez, Jr., grew up in Hebbronville. He earned his bachelor’s degree from the University of Texas at Austin and his law degree from the Thurgood Marshall School of Law at Texas Southern University in Houston. At The Farias Law Firm, we do not put the “hard sell” on prospective clients to hire us. We explain our process and let you determine if we are the right lawyers for your legal needs.